Disconnect the engine coolant temperature sensor connector (1). 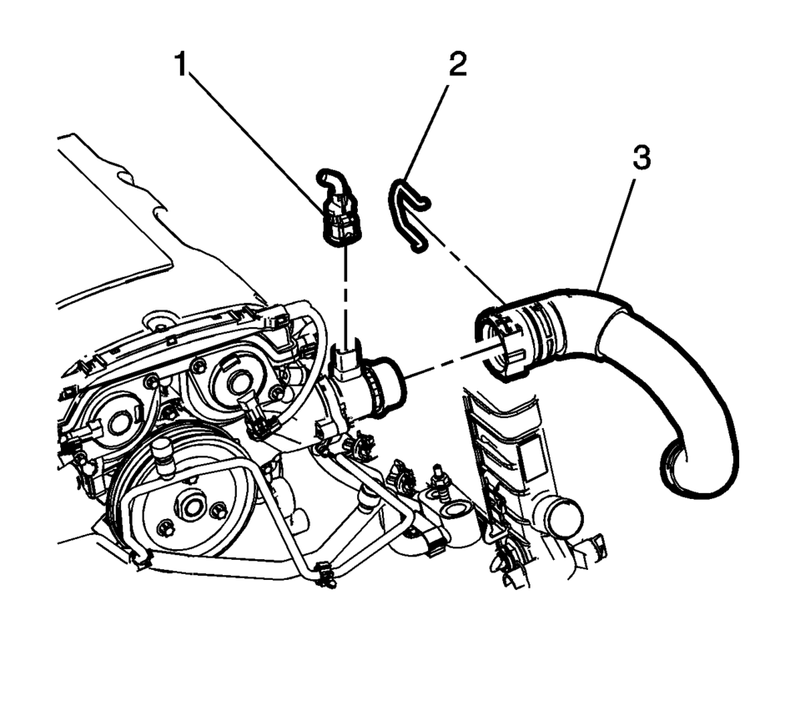 Remove the radiator outlet hose connector clip (2) and the radiator outlet hose (3). Remove the water inlet bolts (1) and discard the water inlet seal (3). 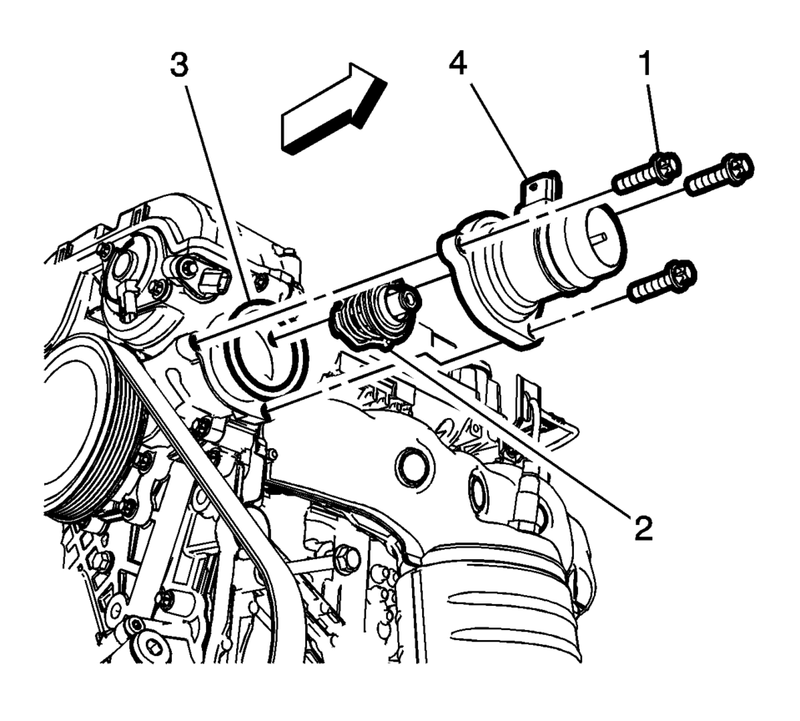 Remove the water inlet (4) and the engine coolant thermostat (2) from the engine. Install the water inlet (4) and a NEW water inlet seal (3). Install the radiator outlet hose (3) and retainer clip (2). Connect the engine coolant temperature connector (1).